“Bale Breaker Dry Screening System” is a complete system for dispersing waste paper into sheets, facilitating the sorting of waste paper and effectively removing light and heavy impurities by dry process. 1. 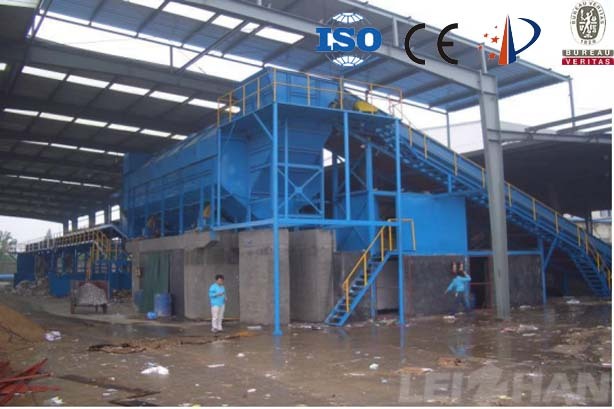 Waste paper bales breaking: packaged compact waste paper bale, delivered by the feed chain board to the feeding bin, into the bale breker dry screening system, in the professional design of a reliable mechanical structure, scattered sheet in a short time. 2. Screening and slag removal: Small pieces of debris in the waste paper sieve from the professional design screening drum. 3. Sorting: Scattered into pieces of light impurities, heavy impurities and inferior waste paper and high-grade waste paper are evenly distributed in the selected chain board, scattered after the exposure of large and small debris and pulp on the adverse waste paper as well as some high-end waste paper has also been selected for more efficient use. Replacing pick-ups and forklifts, reducing the number of pick-ups; dry and efficient removal of light and heavy impurities; improving working conditions of workers; reducing the load and energy consumption of subsequent screening; reducing wear and tear on subsequent pulping equipment; Improve the effective utilization of the impurities contained in the paper machine; improve the cleanliness of the paper. Old method: using a large pick up the waste paper bag will be lifted repeatedly to make it scattered, after artificial selection into the next process. Or just manually disperse and pick. New method: Chain conveyor will convey waste paper bag into bale breaker machine, make it fully dispersed, after the picking section chain machine by a small amount of manual sorting into the next process.